Music expands our minds and hearts! voice, guitar, ukulele, bodhran, or penny whistle . by email at jetbutterfly at gmail dot com to set up an interview! Please know that the studio is running rather full and a wait list is currently being taken. Finding the right teacher is important. I conduct an interview before accepting students into the studio so that we may meet, see if our personalities and goals are similar, and answer questions. I want this to be a rewarding experience. I am humbled and honoured to be in demand; however, I reserve the right to grant acceptance to potential students after an interview. This is not based on level of talent. It is based on commitment to study, focus, and goals. The Spring Recital Success!! Eighteen brave souls performed for their friends and family on the 20th of May at a private recital held at Soul Food Coffee House in Redmond. We had guitar, ukulele and voice performances in a variety of styles and genres. I am so proud of every student! Thanks to the family and friends who attended. Syren's Voice hosts 2 recitals per year. 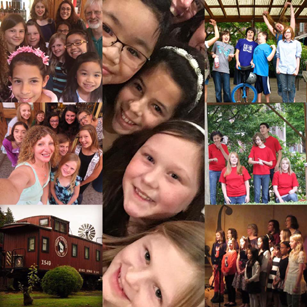 The Spring and Winter Recitals are private events for Studio students, families and friends. While performing at a recital is never required, it is highly recommended as performance is part of the music process. Recital preparation includes performance coaching and microphone training. We create a gentle environment to build confidence and give opportunities to take chances. May it continue to amplify this energy for the next 60 years. Grateful to have every single student, every single conversation. You make me a better person everyday. Touring is important to my profession. I am a full time teacher, but also a full time musician. I am always pushing the bar to become a better performer. Touring keeps my professional performing side in check. I have been fortunate to tour in Ireland, Scotland, England, Turkey, Poland, France, and extensively throughout the US and Canada. From new styles to new instruments, I keep pushing the bar higher! I usually tour 2 - 4 weeks out of the year. I do my very best to make sure our lessons do not fall to the way side and that every student gets attention before and after my times away. 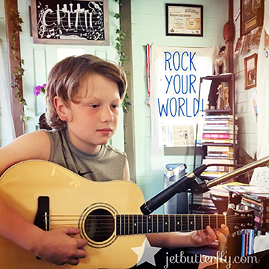 Singer's Guitar Lessons -- Learn to sing and play guitar! Get ready for that open mic or just learn the basics of backing yourself up! Basic guitar theory and alternate tunings also offered. Learn the Ukulele! After much demand, I am happy to offer these lessons to young and old! Ukulele is perfect for young students with smaller hands. It builds finger dexterity and strumming skills. And it's just plan FUN! Call to schedule a time or add it to your current lesson. Ever wanted to write a song? Have a song that you need to polish? Don't even know where to begin? I can help. I have been writing songs for over 15 years..Like many artists forging her craft, I have learn a few things about what makes a good song and what makes a so-so song. I have received several awards for my songs and have had a few semi famous folks sing them. This has been very humbling. 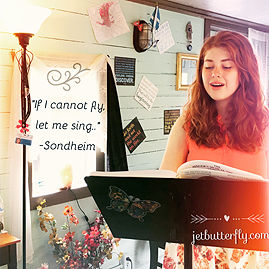 I offer private Songcraft lessons and, at times, will host a SongCraft Workshop on weekend afternoons. Please let me know if you are interested! 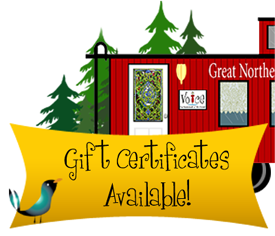 Gift Certificates are available in any amount and can be used for Voice, Guitar, Ukulele, Celtic Studies and Summer classes! This is a great opportunity for someone who is interested in trying out lessons! Please call 918-231-6413 for details! Make a CD for loved ones! Summer is the perfect time to record a CD for your family or loved one! Recording possibilities are open to currently enrolled students at a special price. Recording periodically helps the student fine tune problem areas and helps define performance goals. It is a great tool and so much fun! Makes the perfect gift! Let's discuss your goals, answer questions, and give you the piece of mind to know that Syren's Voice is THE place to study VOICE! Fae has over 18 years professional performance experience. She is Musikgarten certified and she holds a BFA in Theatre Performance. Her students range from age 7 to 72! She has special need students too! Her philosophy is simple... Music is fun and EVERY soul is musical!
. all content is copyright © 2009-18 s. fae wiedenhoeft.